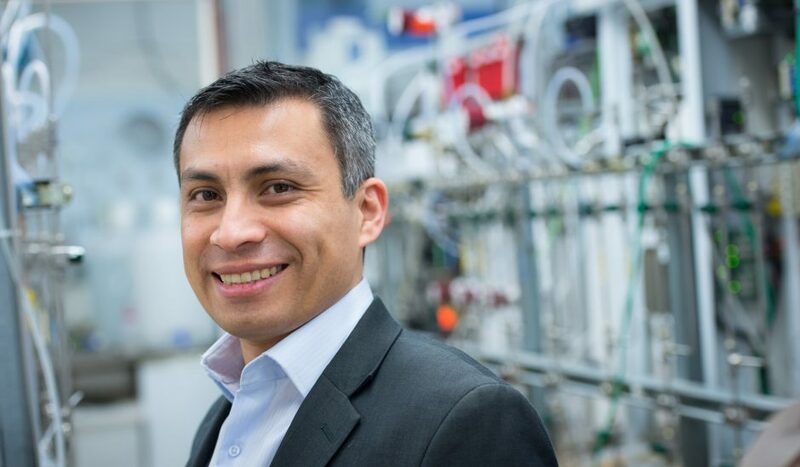 Walter Mérida, P.Eng., director of the UBC Clean Energy Research Centre and a professor in the Department of Mechanical Engineering has been announced as a recipient of a 2017 Clean50 award under the category of Education and Thought Leadership. The Clean50 recognizes remarkable and inspiring leaders and connects those leaders in order to bridge gaps and build connections. Their annual awards offer recognition to Canada’s leaders in sustainability and are selected from 16 diverse categories that transcend numerous industries, academia, different levels of government, thought leaders and advocates. A clean energy solutions developer for over 20 years, Walter is now an equal part innovation accelerator energizer bunny. He formed and led a clean-energy partnership between UBC and the Fraunhofer Society in Germany and with 23 other diverse partners. He leads a multi-institutional group (Transportation Futures) at the Pacific Institute for Climate Solutions, serves as Director for the Canadian Urban Transit Research and Innovation Consortium, the Canadian Hydrogen and Fuel Cell Association, and is one of the founders for the Institute for Breakthrough Energy Technologies in Vancouver, and oh – also oversees a Master of Engineering Leadership program in clean energy.